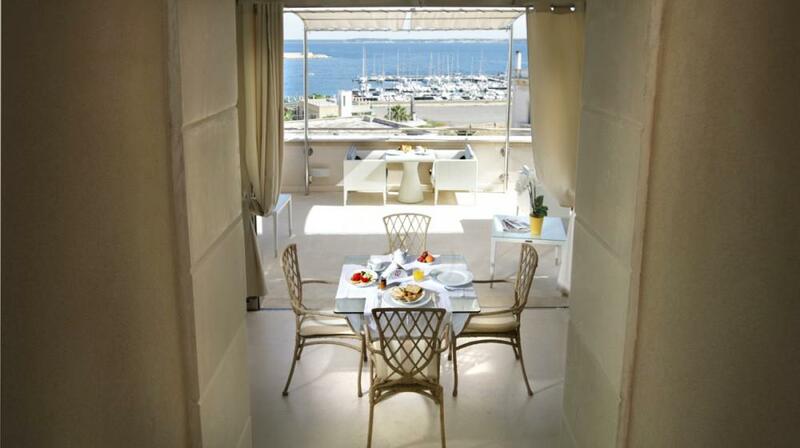 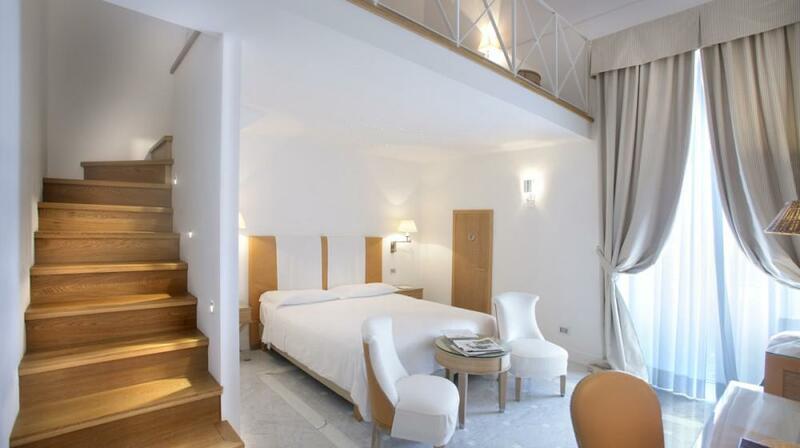 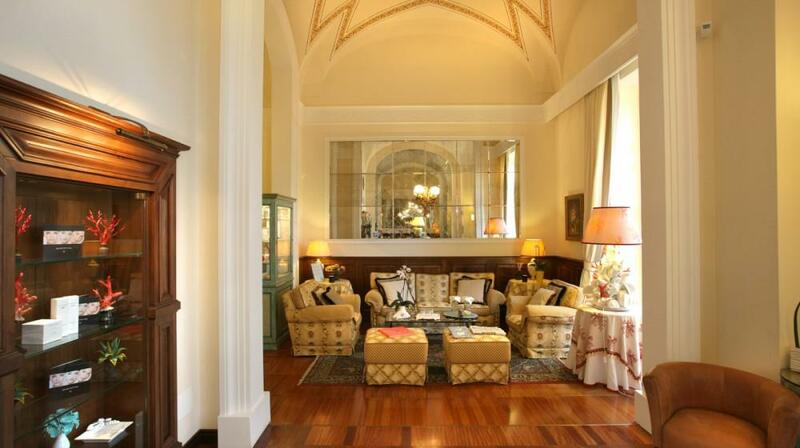 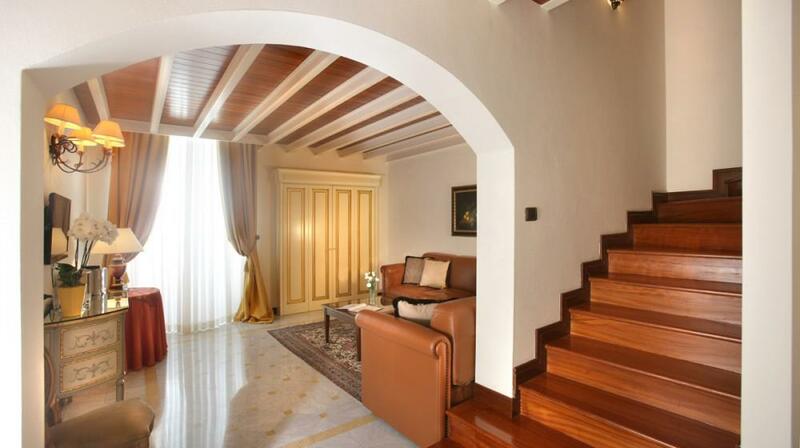 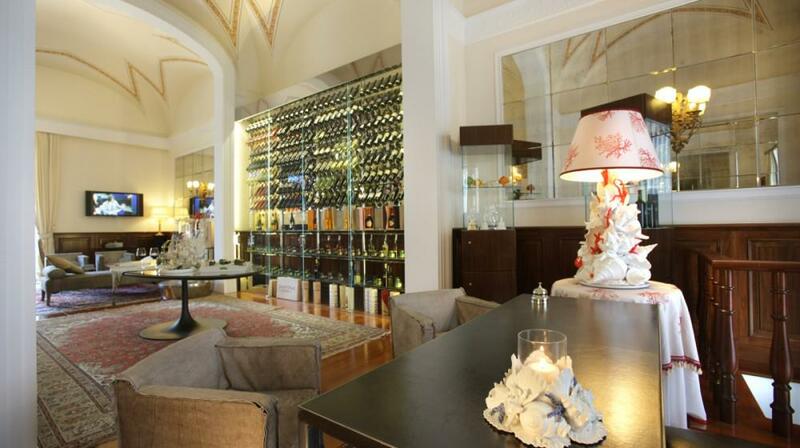 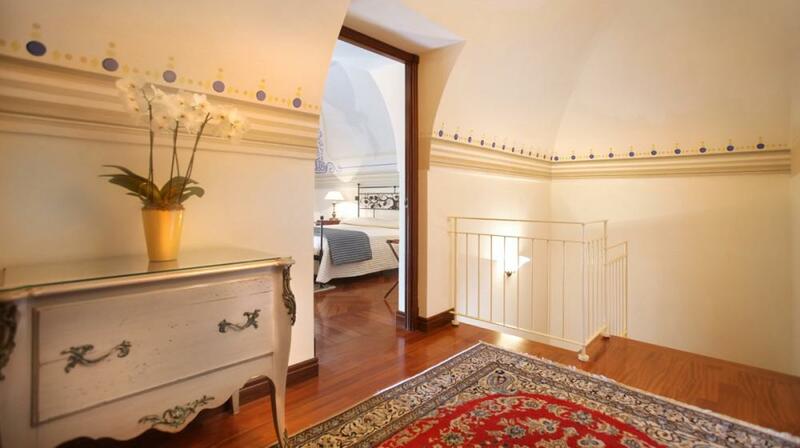 Luxurious Palazzo del Corso combines modern rooms with 19th-century features and vaulted ceilings. 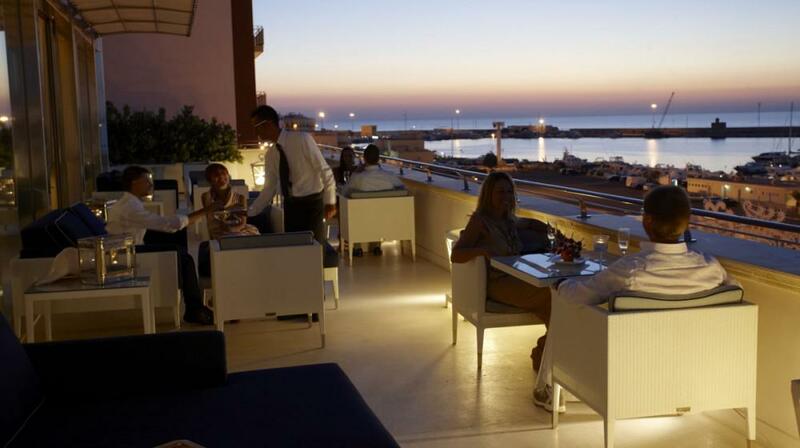 Breakfast, dinner and drinks can be taken on the terrace with a free hot tub and panoramic views over Gallipoli and the Ionian Sea. 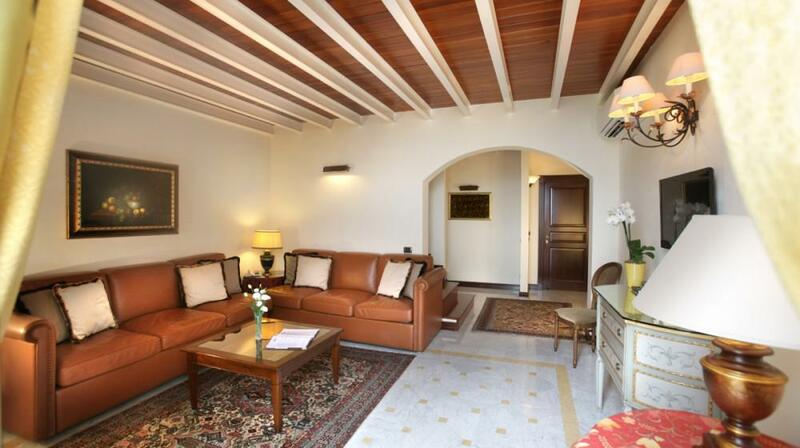 Each stylish, air-conditioned room has been individually designed and offers free Wi-Fi and a 29” flat-screen TV with satellite channels. 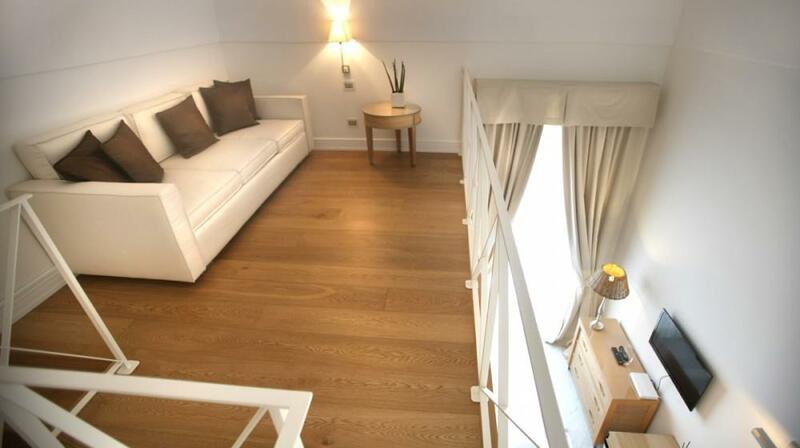 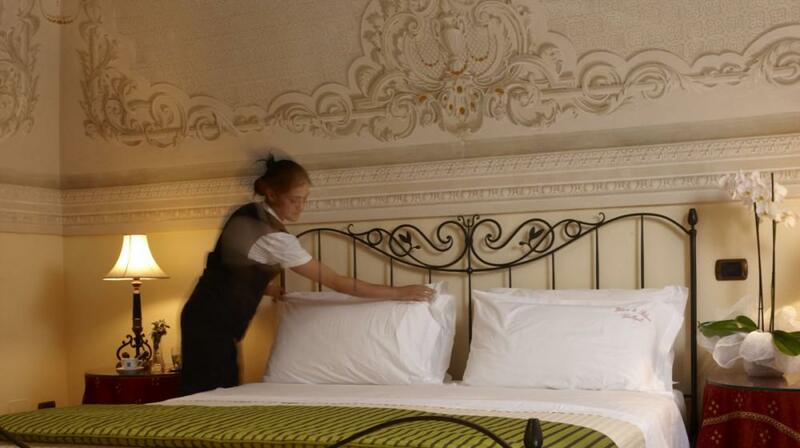 Some feature parquet floors, LED lighting, a four-poster bed or wooden ceiling. 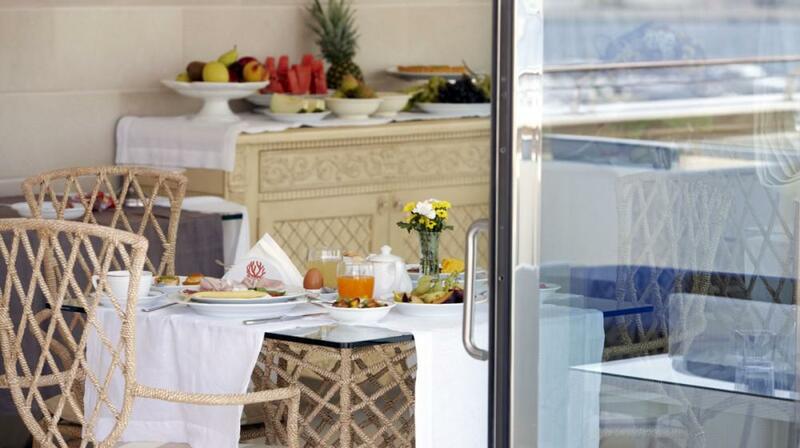 Local products and freshly baked pastries and cakes are provided daily at the buffet breakfast, served on the panoramic sea-view terrace. 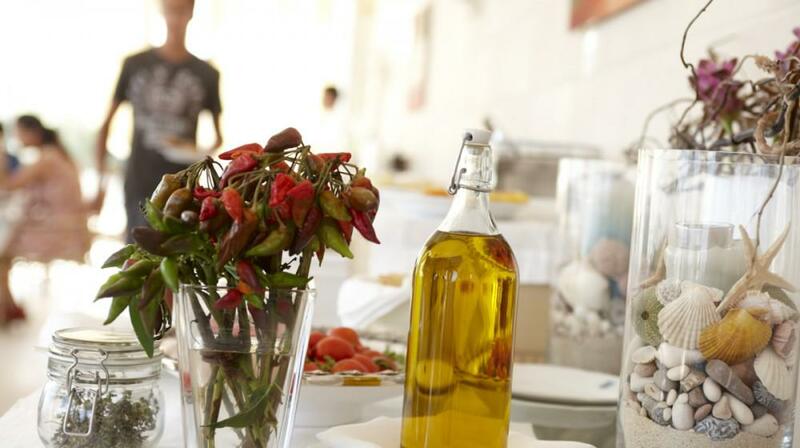 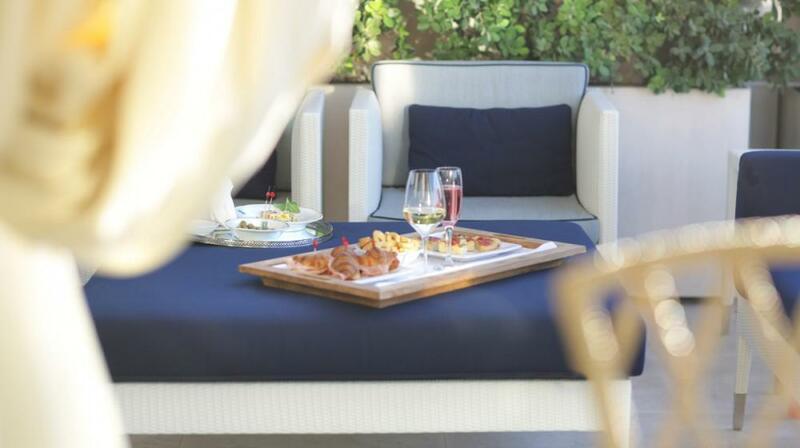 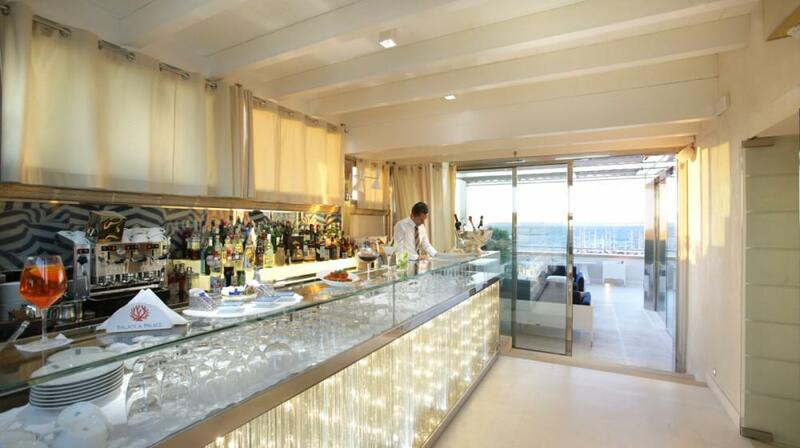 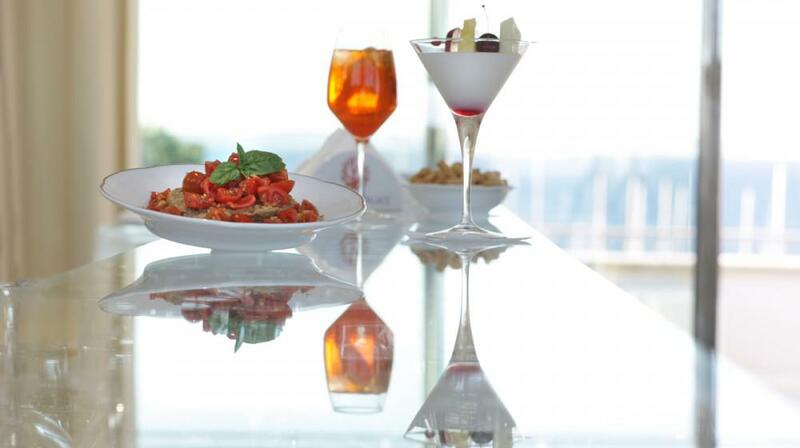 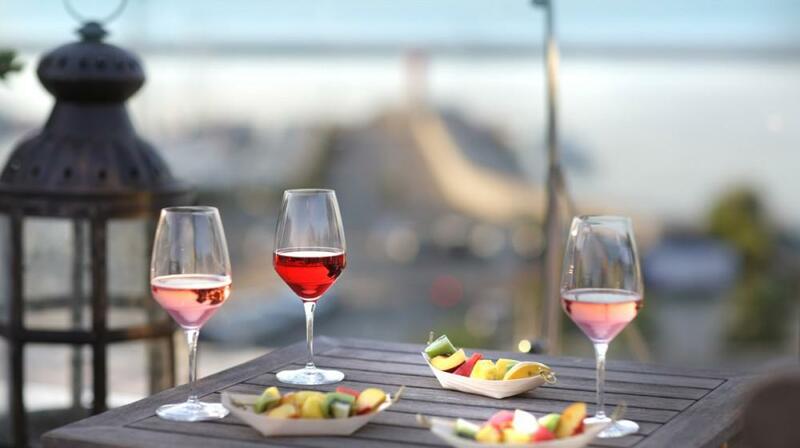 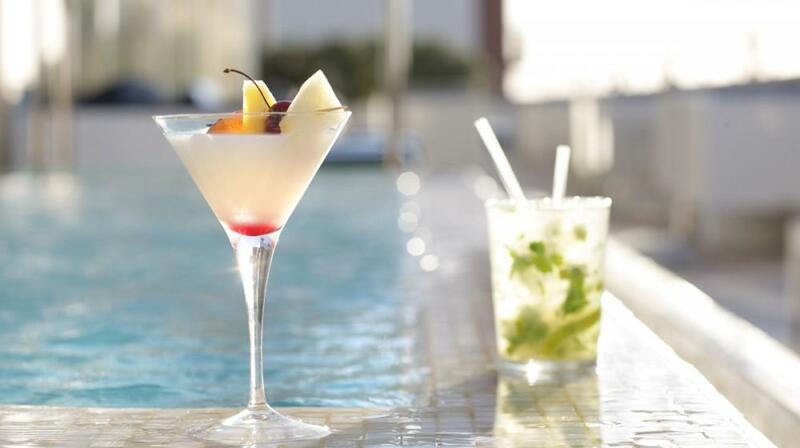 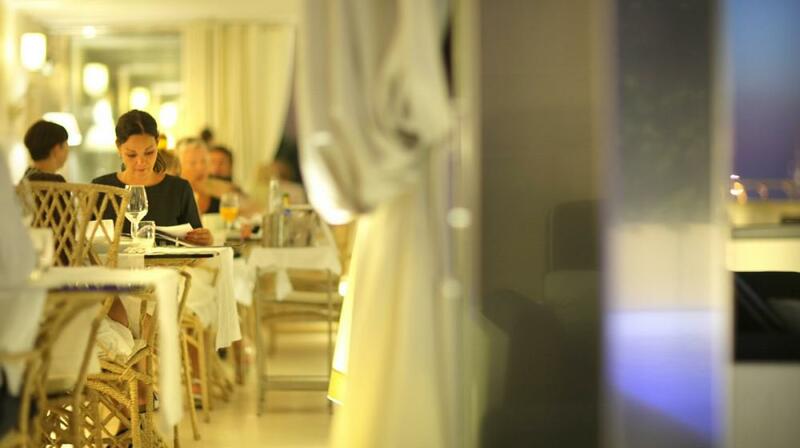 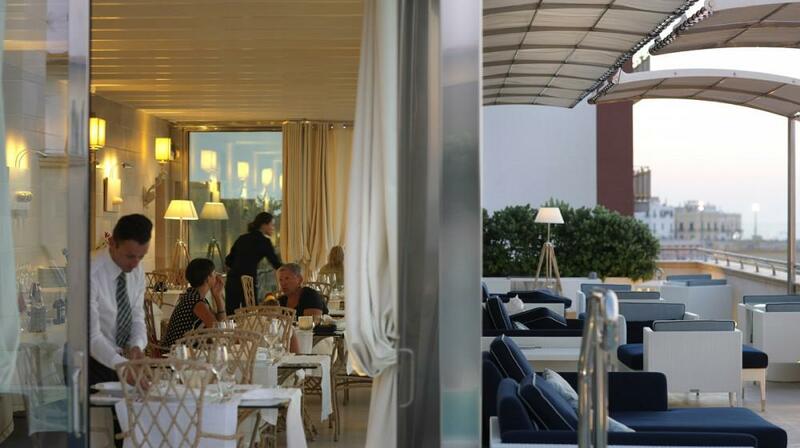 The Dolce Vita restaurant, boasting an extensive wine list, specialises in traditional Puglia cuisine and fish dishes. 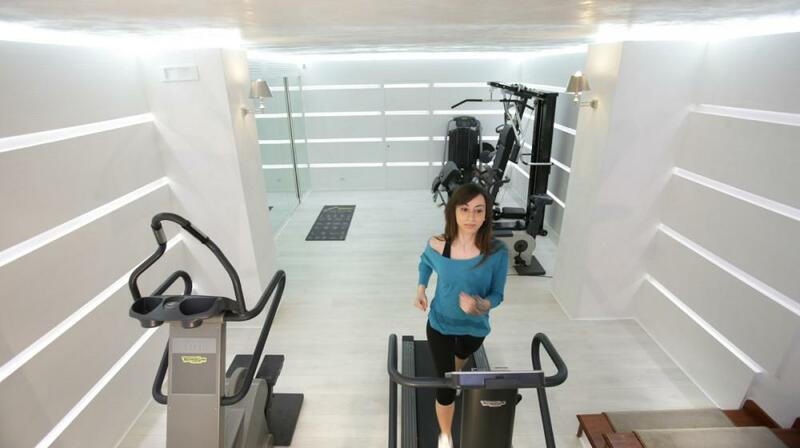 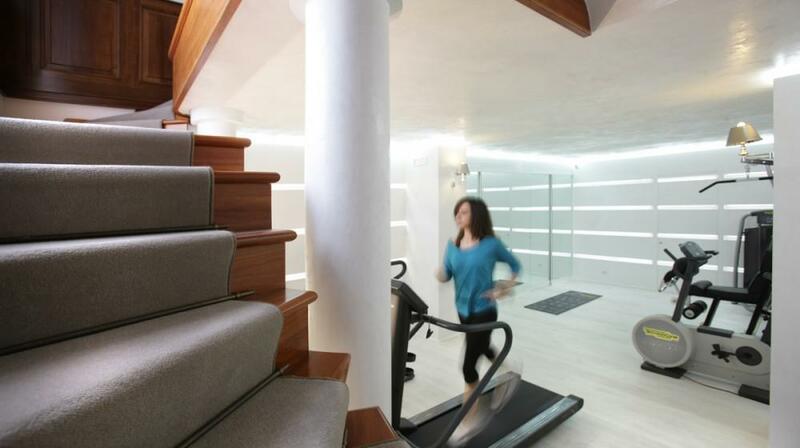 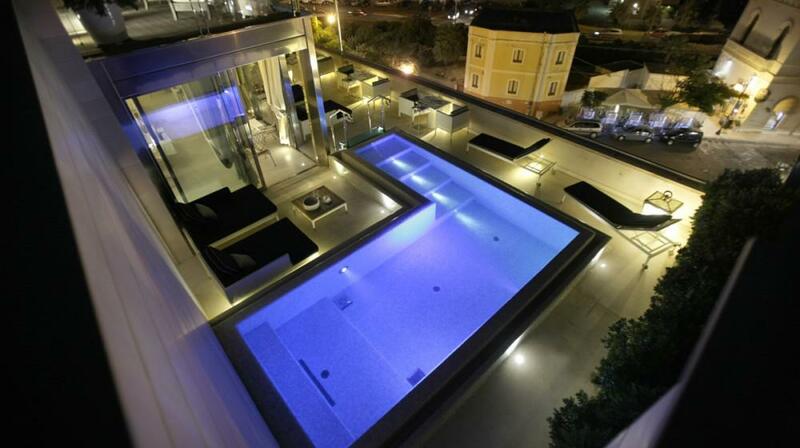 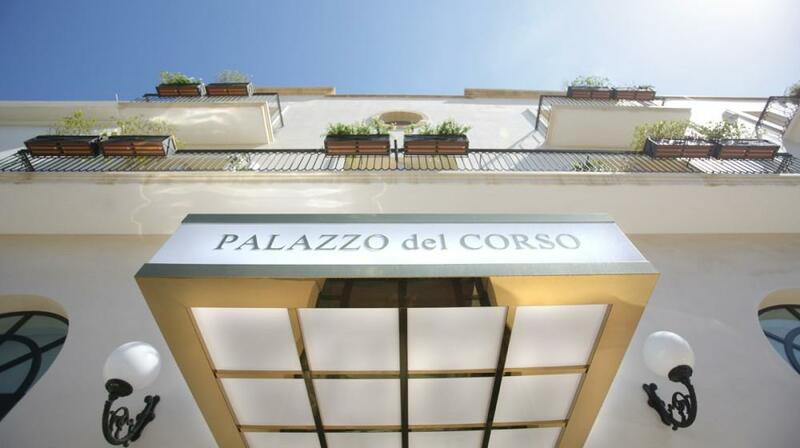 A former noble residence, Hotel Palazzo del Corso provides a well-equipped gym and beauty centre. 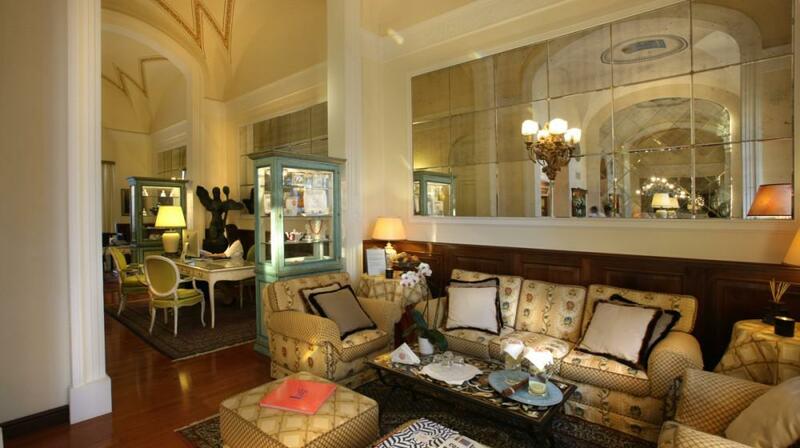 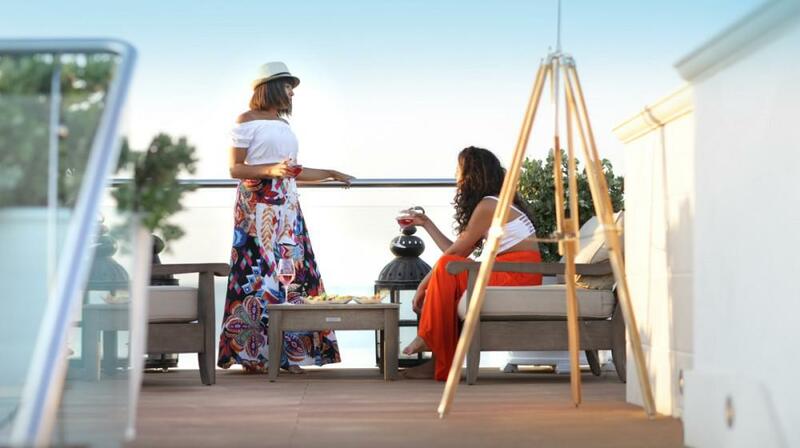 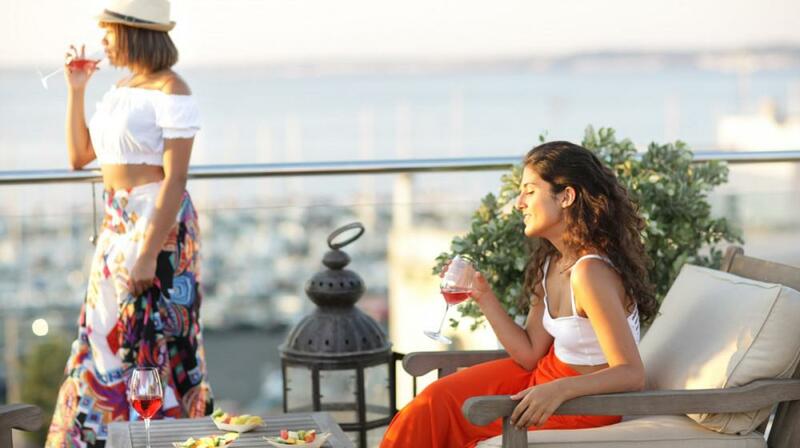 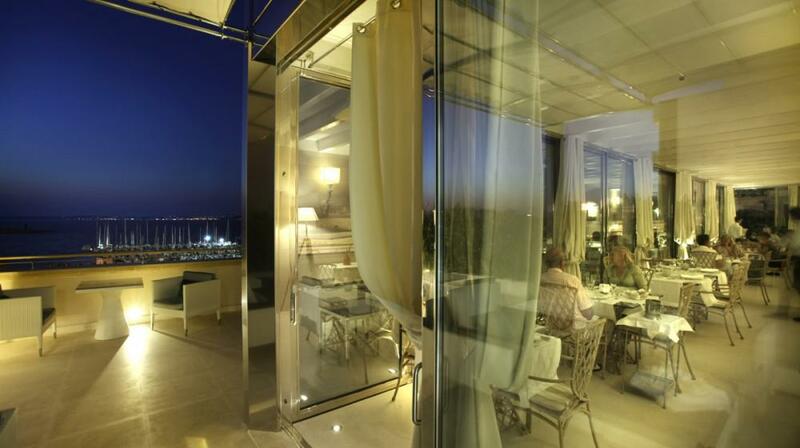 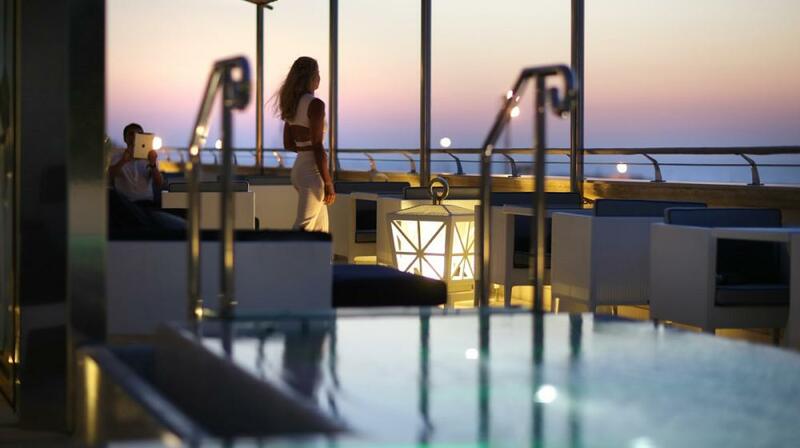 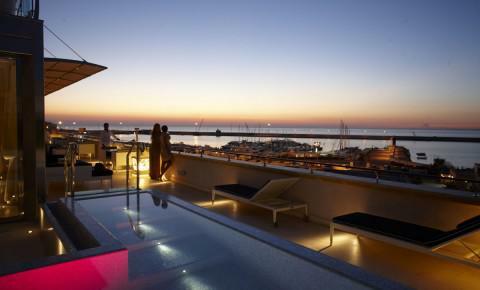 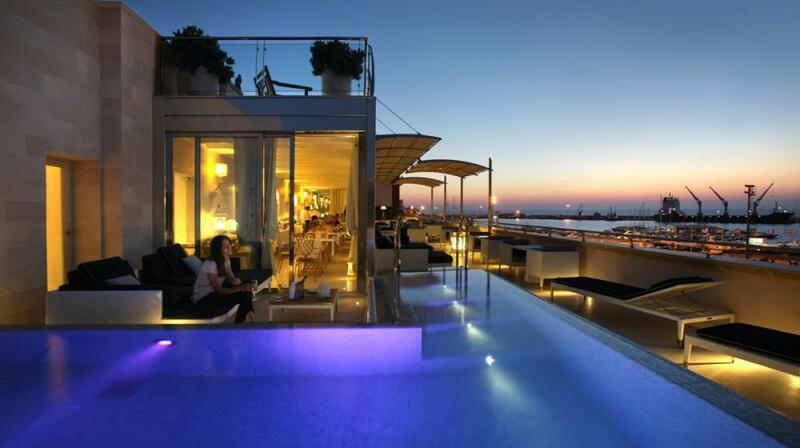 Located on Gallipoli’s main street, it is surrounded by elegant boutiques. 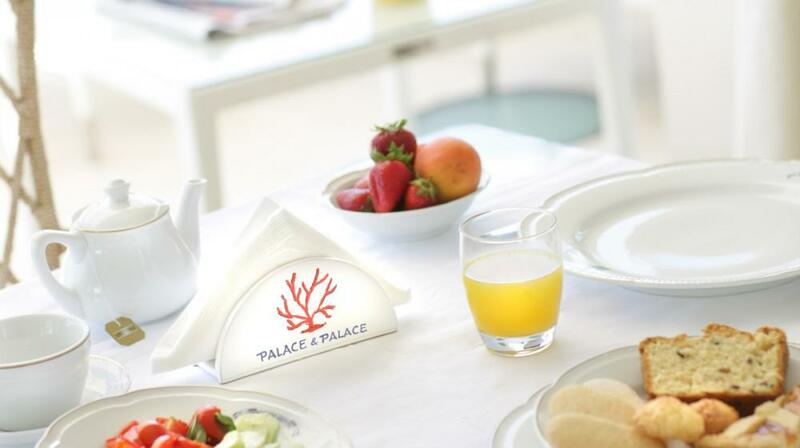 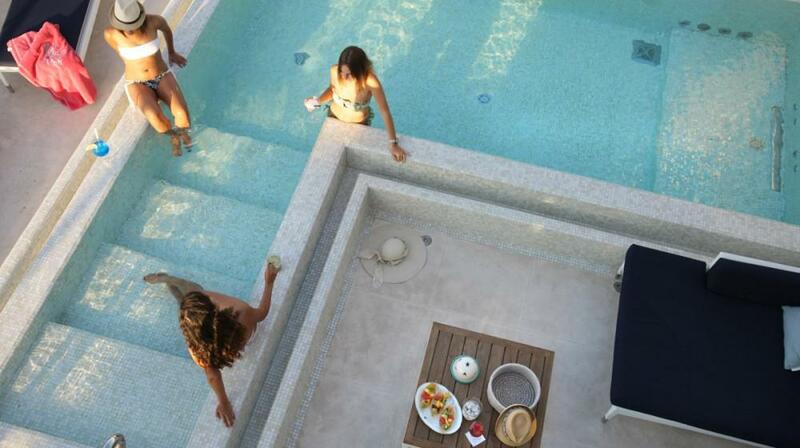 Nearby are white sandy beaches, where guests enjoy discounted rates. 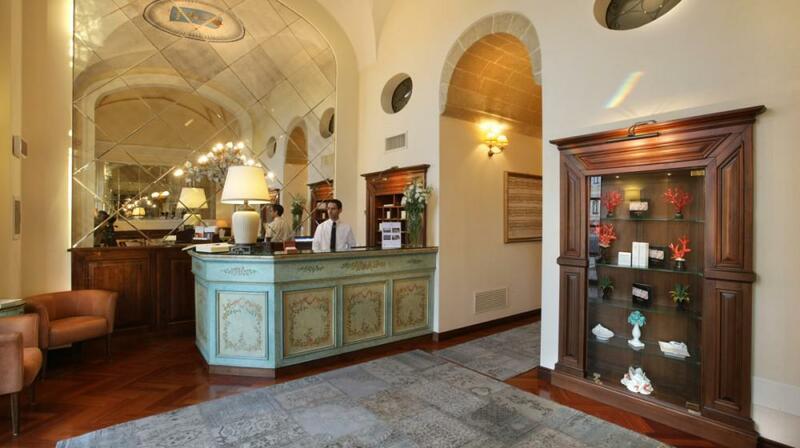 Staff at the 24-hour front desk can provide tourist information about the Salento area. 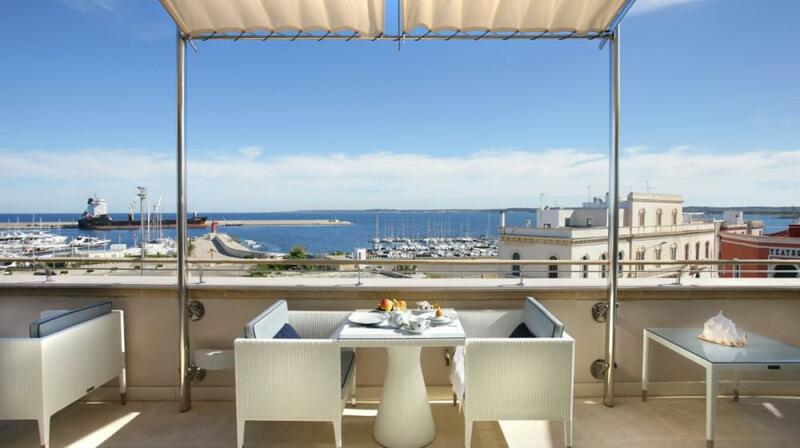 Lecce, Otranto and Santa Maria di Leuca are all less than 1 hour’s drive. 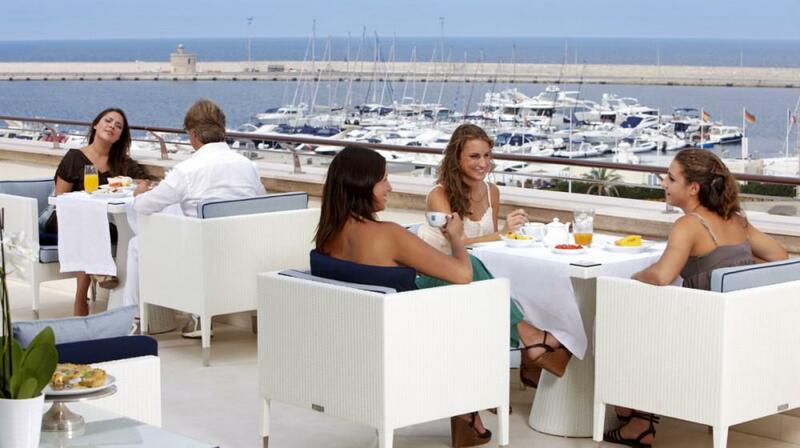 On request the hotel can arrange a shuttle service to various beaches and Brindisi Airport, 80 km away. 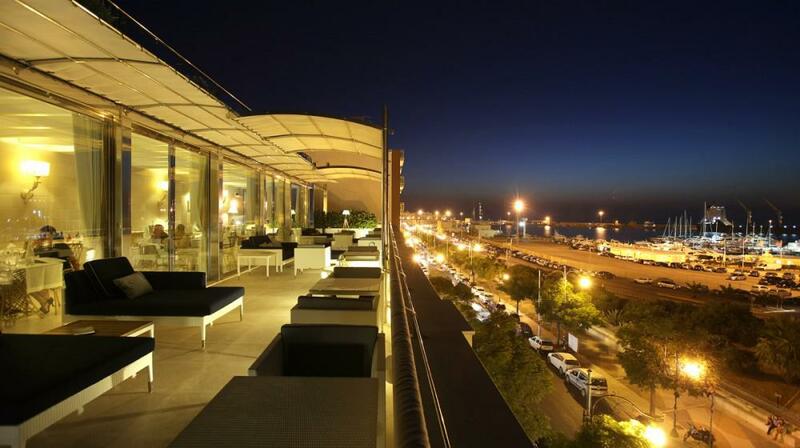 Gallipoli Train Station is 400 metres away.